When anyone want to marry then the biggest question comes in mind is how to find a good match. 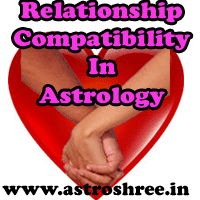 As per vedic astrology, it is necessary to marry with a partner whose horoscope match. There are specific rules in astrology by which match-making is done. This process is called ASHTKUT MILAN. Relationship compatibility is very necessary to live a successful life. It is generally seen that some couples face too much problems in life if married without giving importance to match making. Astrologer role is very important while selecting any life partner. There is a tradition in India to fix marriage after getting green signal from any best astrologer. Jyotish guide the couples to perform some rituals if there is chance of problems due to some malefic planets to live a successful love life. Relationship after marriage with inlaws. If good points comes out in relationship compatibility then it is said that the relationship will go longer without too many problems. Vedic astrology matchmaking is very famous world wide because it is based on proved science and people are experiencing the benefits of this match. Mangalik person must marry with manglik to live successful life. If this is not done then one of the partner may suffer due to health loss. Also there is chance of misconceptions. Minimum 18 points is necessary to marry any person. If points are more than 26 then the marriage is said to be very good. If Nadi dosha takes place then it is good to not marry with the person. Lack of harmony in relationship. Problem in saving money after marriage. Problems in having a healthy baby. Sometimes major health issues arise due to which it is not possible to enjoy life with partner. Some time divorce also takes place. So it is good to go for match making before finalising life partner. What To Do In Case Of Love Marriage? A great problems arises in mind when anyone want to marry with a partner who one love. Lovers generally don’t want to match kundlis because there is a fear of mismatch. But here I want to say that no need to fear, there are many problems of which solutions are possible so it is good to consult an experience astrologer and to ask for good solutions. Love marriage is not a crime but think if just after marriage, problems arise then your whole life will become hell. 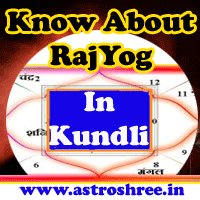 So inspite of getting fear from kundli mismatch, try to find solutions of unmatched kundli. Feel the power of ASHTKOOT MILAN. Enjoy whole life by marrying a partner whose kundli is match with you. Use the best gems stones to enhance life. Use the best poojas to getrid of married life problems. Use the powerful Yantras to make life successful. Here is the best astrology services by Astrologer Astroshree to make life successful. Complete solutions of marriage like match making, solutions of unmatched kundli, gems stone recommendations, pooja recommendation, daan suggestion. Make your life better with astrology, there is no need of fear if, get the best remedies of love life. Relationship compatibility match by best astrologer, horoscope match making service for marriage online, Ashtkut Gun Milan in vedic astrology, Love marriage compatibility match, Bride groom match making astrology.